Book Advertisement in Midday newspaper online by choosing from the below various advertising options available. The Ad Rates differs for every option. We have displayed Midday tariff in the easiest format to book ad easily. These are the standard sizes Ad published in Midday Newspaper but you can also opt for any other size as you wish. 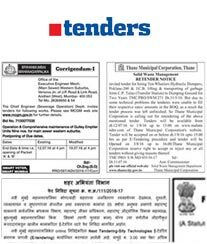 Ad in Midday Main Edition are accepted for all days. MID DAY is a part of Jagran Prakashan Ltd (JPL) – India’s leading media and communications group with its interests spanning across Print, OOH, Activations, Mobile and Online that covers all of India as its footprint – and is arguably amongst one of the largest media conglomerates in the country. India’s most engaging local newspaper, MID DAY, has become the quintessential physical connect for the uber-social generation to consume their local city news today. Over the last couple of years, the newspaper has been on a mission to up its engagement quotient with these social netizens. Whether it is local news, career guidance, dream homes, a look at what’s on in the city or best of Bollywood gossip, MiD DAY’s sections have it all, alongside staple news and amusers like comics and crosswords. 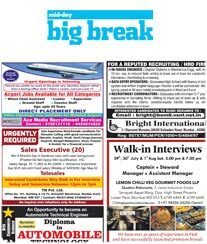 Advertising in Midday Newspaper is an ideal option to target english readers of Mumbai City. Follow few simple steps to book ad in Midday Newspaper ? 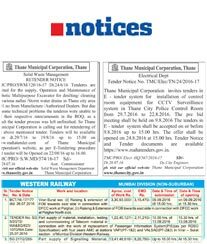 Check Midday Ad Rates which are mentioned in Rupees per square centimeter for the newspaper. Upon receiving your consent on Midday Ad Rates quoted to you, we will send you an invoice with every payment options available to make payment. Both Online and Offline payment options are available. 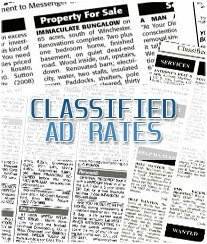 The Ad Rates in Midday are different for every categories and it varies from location to location, which means the cost are low in the small cities as compared to that of the metropolitan ones. 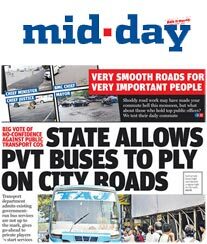 Midday has editions in Mumbai, Pune, etc. But the Advertisement tariff is generally calculated on the basis of ad type.